Having too much fun with this little one! Will be back soon. Awe, so cute. I'm happy for you! When did you have her? Congratulations! She's precious! Welcome little one! OMG! So cute! Congratulations and God bless you and your family! Congratulations! She's adorable. 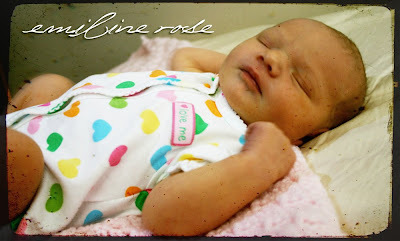 My daughter is named Emeline too (slightly different spelling).